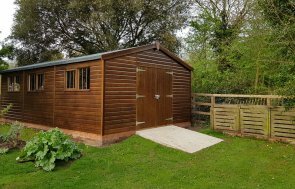 This 1.8 x 3.0m Superior Shed has been installed in our customer’s garden in Aston Upthorpe, Oxfordshire, next to their raised vegetable patches, to use it has a potting shed, and a place to store their gardening equipment. While this is a simple shed on the inside, with only the addition of a workbench in the right gable, the customer has made the outside very appealing with Georgian windows, grey slate effect roofing tiles, weatherboard cladding for a country, rustic feel, and the shed has been painted in Light Gray, which is a colour from the Farrow & Ball paint range. The Farrow & Ball paint range is a an exterior eggshell paint, and offers an opaque, mid-sheen finish in a range of 12 natural colours from Farrow & Ball’s extensive range. You can see what the colours look like on the Farrow & Ball page of our website, or you can also request that we send over some paint samples to you. These samples are painted squares of card that will allow you to get a real feel for how the colours will turn out on your building. 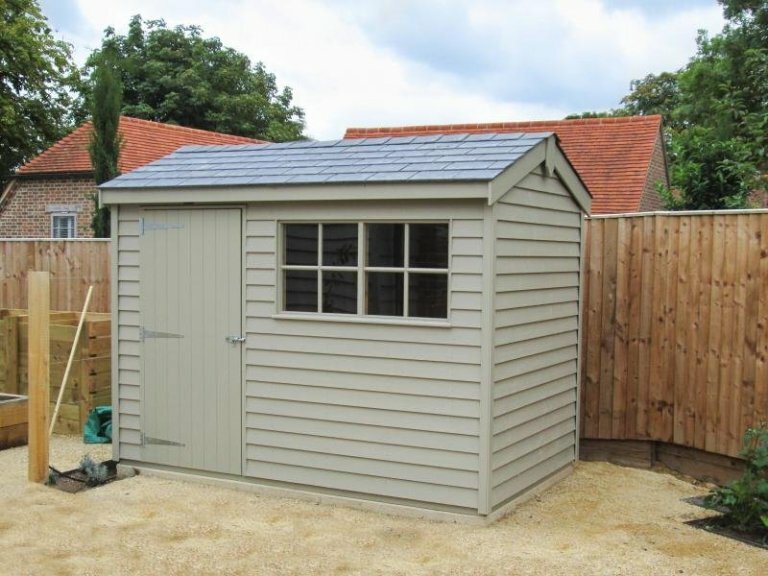 If you like the look of this Superior Shed, please call us on 01760 444229 or come and visit our Burford Show Centre to see our full range of garden buildings for yourself.